Home›Constructions and renovations›Extension of Agata and Mirosław’s house in Redzyńskie: the project is on track. Thank you for the support! Extension of Agata and Mirosław’s house in Redzyńskie: the project is on track. Thank you for the support! 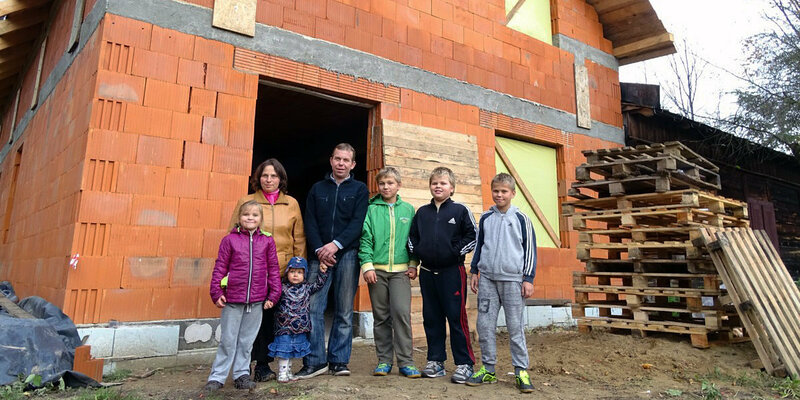 The project of extending the house of Agata and Mirosław’s family is running to schedule. In October, the roof was installed and, thus, the building shell was completed. We are now pausing the works, waiting for the spring. If the project keeps developing smoothly, the family should move in next summer. Agata and Mirosław have 6 children and currently live in one room in a house they share with other family members. We help them extend that house so they have more space. You can get to know more about the family on the project page. The project started in April when we poured the foundations for a house extension together with school volunteers from Switzerland. You can see the photos of all the teams on the project page. 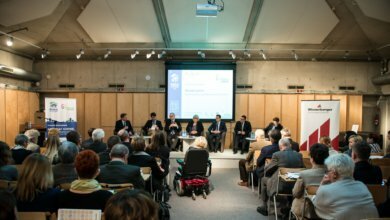 We are also grateful to the corporate donors who have supported the project with monetary and in-kind donations: Dow, Wienerberger, Somfy, Google and Rocca. The last works in this construction season took part in October. We installed the roofing and prepared the building for the winter together with school volunteers from Austria and Polish young professionals from the SPOT initiative. We will be sure to let you know as soon as the next phase of the project commences. Stay tuned!